Hanoi Night market happen on every Friday, Saturday and Sunday 7 pm till late. I was lucky to be there doing some cheap shopping during my Hanoi stay. You get to discover what local life is like during the night. The night market found in the Old Quarter, it sells plenty of things including street food and souvenirs. 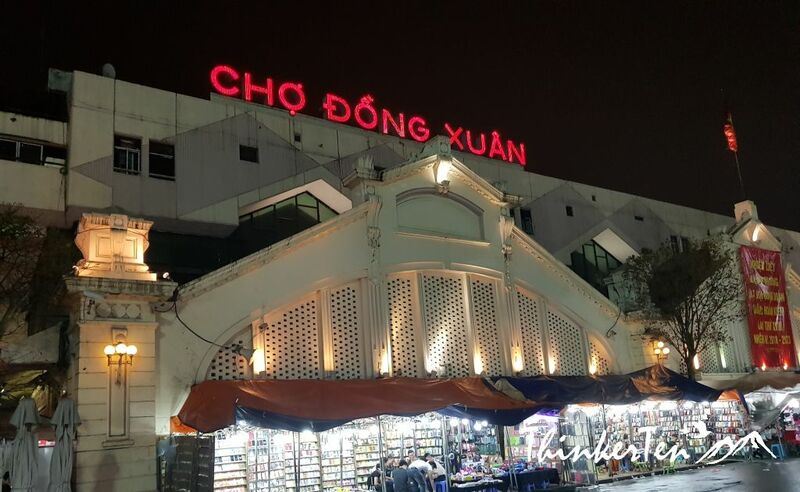 The market is very long, about 3 km in length and starts at the Dong Kinh Nghia Thuc square and ends at the Dong Xuan market gate. 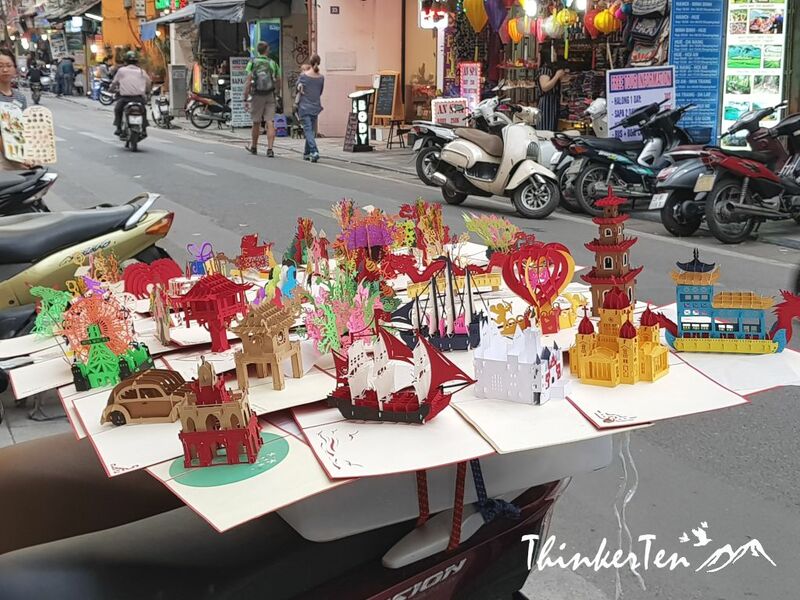 There are several things which I discovered during my 4 days stay in Hanoi which I find quite interesting and worth to share it here. Do spot these things when you go Vietnam! 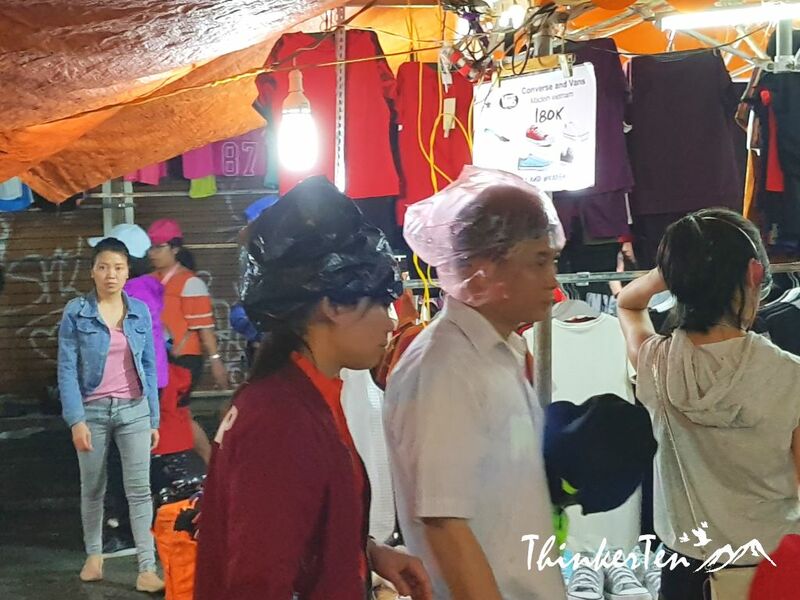 When it rains, instead of using umbrella or poncho, the locals use a plastic bag to cover their heads. They don’t mind other part of their body get wet but head. This is probably due to head is the most important body part for Vietnamese culture. You are not allow to anyhow touch a person’s head as it will consider rude to do so. Even young Vietnamese girls don’t mind the fashion of plastic bags on heads. 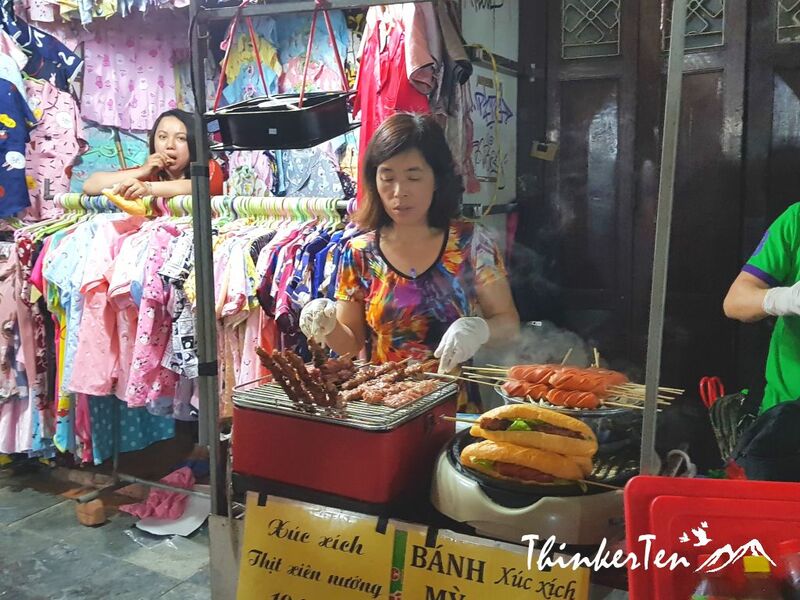 Street food such as BBQ pork,sausages, Vietnamese bread roll and pop corns. 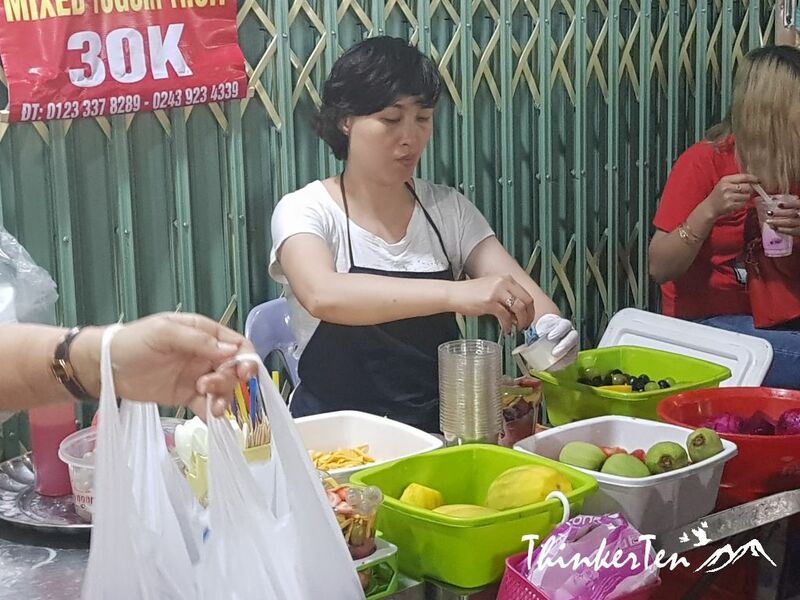 If you strong stomach, go challenge the street fruits. Street dessert and drinks. The streets food in Hanoi Night market is very cheap, about SGD 1.00 for a BBQ skewer. Unlike the street food in night market Myeongdong Seoul, it was so expensive, if I remember correctly, a BBQ skewer in Myeongdong Night market cost about SGD 6.00. 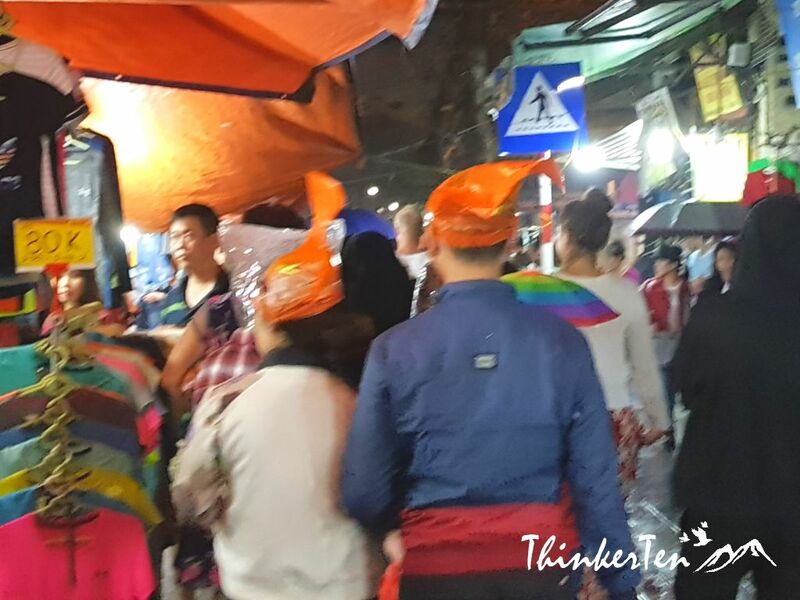 You will see many local Vietnamese coming out and wondering around the streets of the night market in the Old Quarter. It is such an easy going vibe here. We even see some local Vietnamese set up their karaoke on the road and sing their heart out. Yes, in the middle of the road as most roads are blocked for cars for the night market. 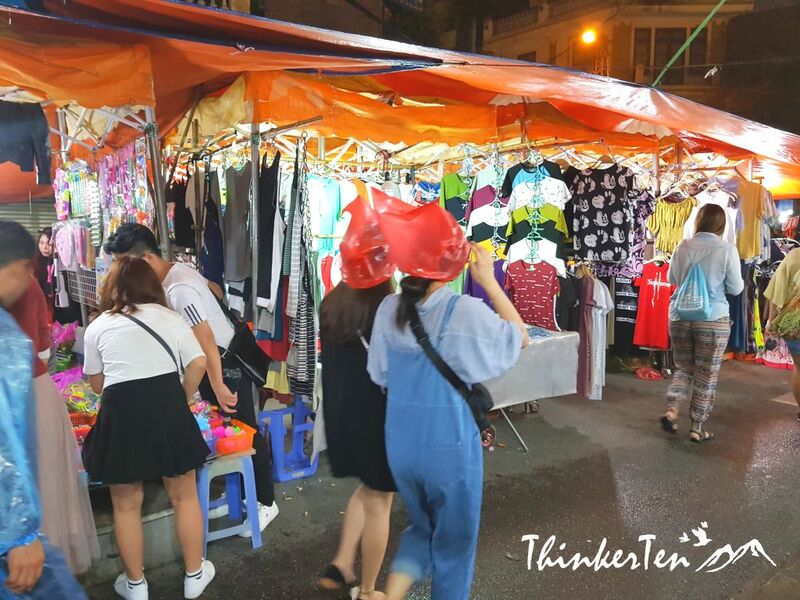 Walking around the night market, you will find many imitation stuff for big brands selling at very low price. Sport items such as hiking shoes and haversack can be seen in every corner. You will also find some cultural shows and entertainment activities held here. I was quite curious when I see very low and tiny plastic chairs and low tables in the restaurants. Unlike Chinese and Western dining table and chairs, the height is so much lower in Vietnamese restaurants. 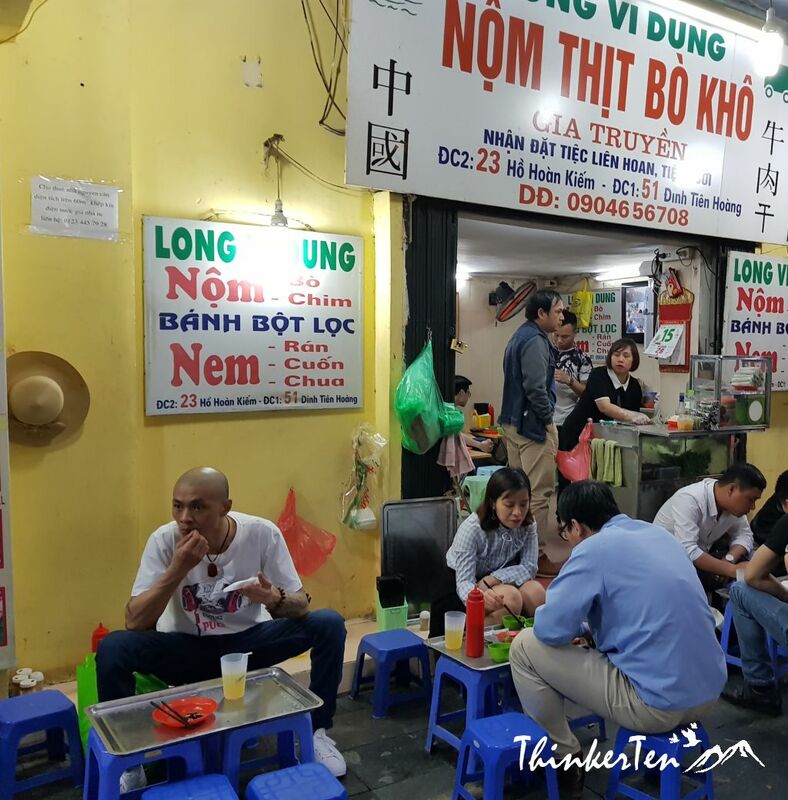 I guess originally the Vietnamese people are eating on the floor and with the squatting position, that is why small chairs are used nowadays. The tables and chairs are so low it feels really awkward and uncomfortable even for me who is a mini size person. Another thing I experience was, the higher the chair is, the higher the price you going to pay for your meal. Been to another restaurant upon arrival, the chair is higher than the little cute chair and the meal we paid for is a little more too. Please note the food trash can be dropped onto a bin under the small table. There is a small trash bin underneath every small table. If you look down, you will see it. Vietnam Unusual # 3 – Electric cobwebs in Vietnam! All the wire cables get so messed up that it looks too challenging for us to know where the wires go to. 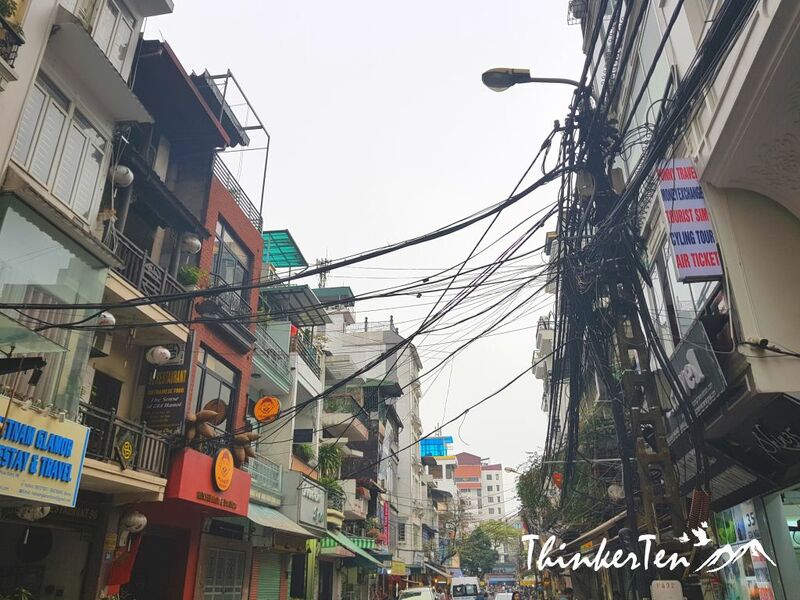 These are believed to be wires of electricity, cable tv and telephone clumped together, look very much like cobwebs covering the whole Hanoi Old Quarter. Not sure how the workers going to fix it if there is any fault on the electricity wire. It is quite scary to look up! 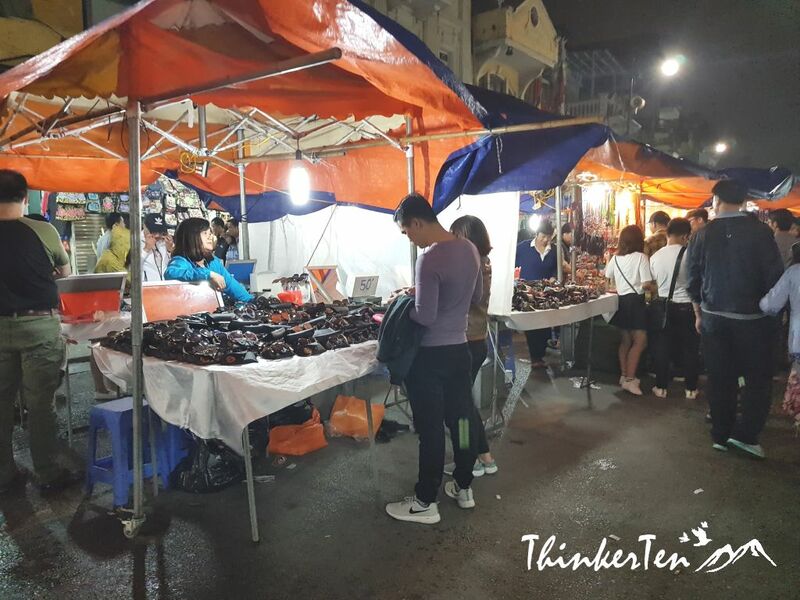 Night markets happen every Friday, Saturday and Sunday nights from 7 am till late. Most roads in Old Quarters will be blocked for cars. 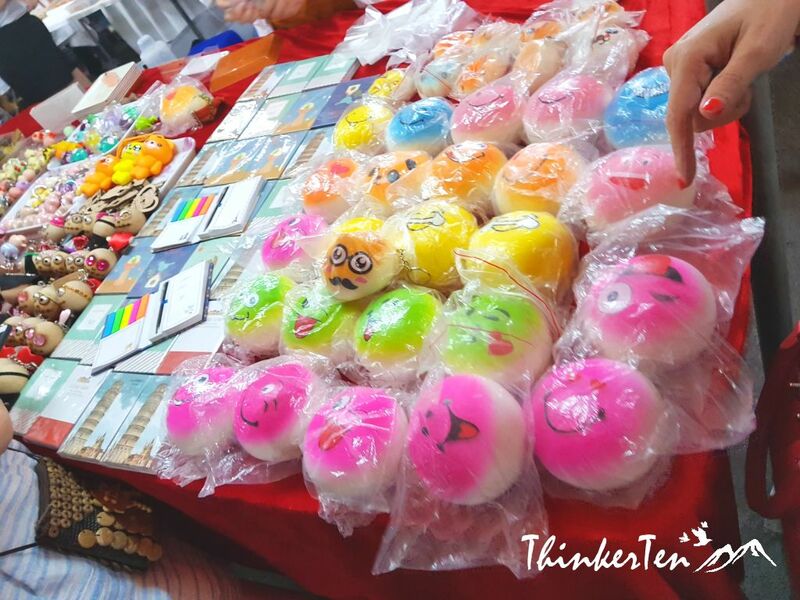 There are plenty of handmade souvenirs and cheap stuff or imitation of big brand sold at night market. There are 3 unusual things that I noticed from my Hanoi trip which I find quite interesting. If you happen to be in Vietnam, do look out for these things! I love open markets like this one, it it the best way to try local food and buy fun things. This looks like such a fun outing!!! I would enjoy a visit to this place someday. 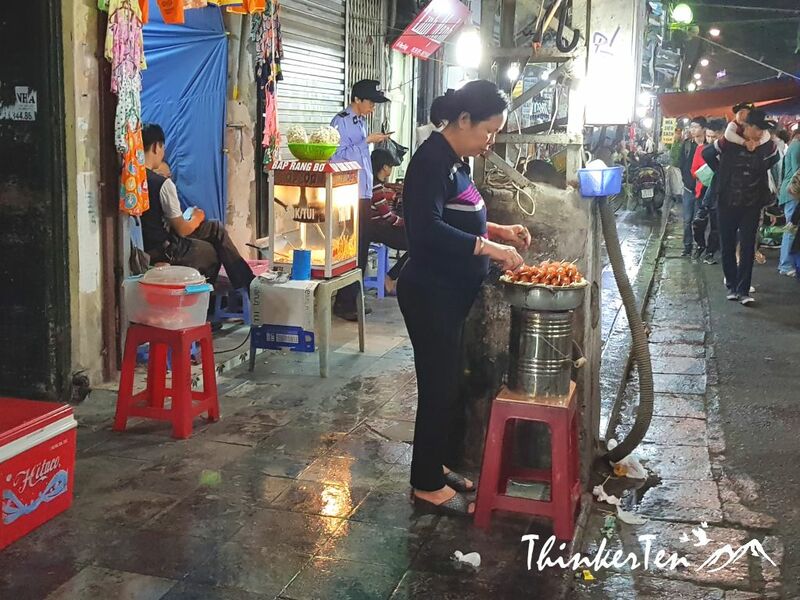 I loved going out for dinner in Hanoi and sitting down on one of those tiny chairs, waiting for the pho to be made by a woman cooking at the side of the street. I think this is part of Vietnam’s charm. Thank you for your comment. You are quite right about the cobweb cable, there are other places such as China and India also have such interesting scene. The last time I been to SF, I didn’t explore enough to check out the interesting cables. I thought these days, most developed countries are using underground cable 🙂 I would love to check out SF overhead cables too. The plastic bags is interesting but it still work very well to protect the rain, I guess Vietnamese people are just being creative and clever enough to use whatever is available when they forgotten to bring their umbrella. This show Vietnamese people are flexible and creative! So many amazing things to see and to eat! I would love to visit Hanoi one day. The good thing about reading blogs about places, it makes you feel like you have been there when you happen to visit. I’ve now learnt a bit about vietnamese people. They seem to have a lot of street food. 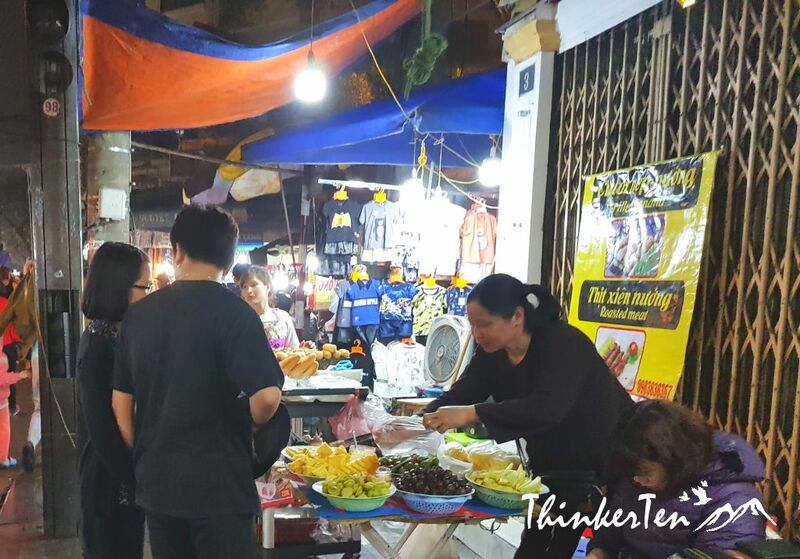 It would be nice to plan your visit carefully so you can experience the night market! I just think it’s beautiful and there’s so much to see and try! It looks like you are having such a wonderful experience in Hanoi. 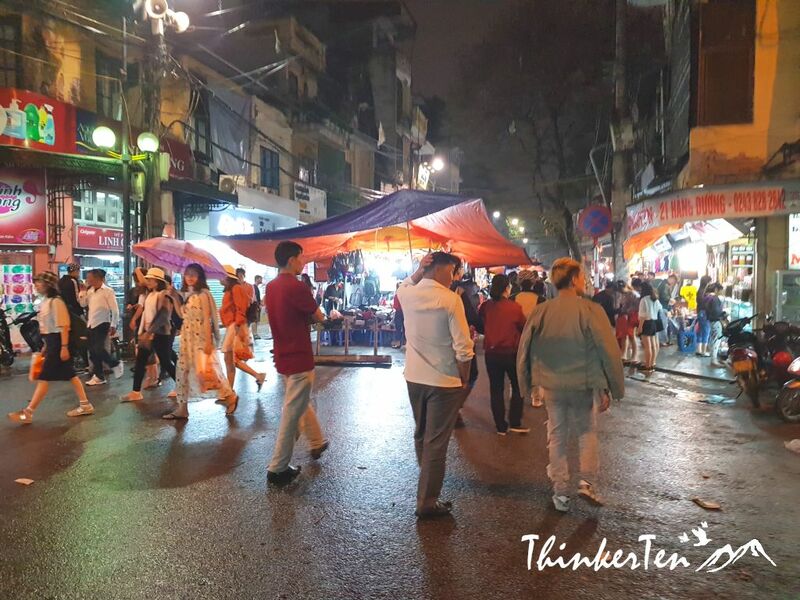 The night market looks like a place enriched in culture and a great place to explore what Hanoi has to offer. Wow. I love reading blogs like these that shares experiences in countries that i would love to visit. It truly looks like a fun experience. I would so love to visit on day. They are indeed unusual traits but yes very interesting. The mini chairs look so cute but wow, they are able to sit on them comfortably. The electric cobwebs, yes I have seen them in India and at many place there. The plastic bags on the head during rain look interesting too 🙂 I am glad the local vibe was easy-going. I love searching for unique handmade stuff! I would loveee to visit just for this night shop alone! I have never been to Vietnam so I’d have no idea about these! A plastic bag on the head when it rains is so funny. These are aspects of a country you can only see when you go there! looks like so much fun! You see, now I want to visit Hanoi!